CrossFit CHALKBOX | Change Challenge sponsored by RX MEAT - Get leaner NOW! Change Challenge sponsored by RX MEAT - Get leaner NOW! RX MEAT is sponsoring our Change Challenge 2017. The winner of the challenge will get FREE meat and/or fish! This time we will have 2 levels of nutrition plans you can follow. Level 1 is the most strict diet and will ask for some extra effort to prepare your meals. Level 2 is similar to the challenges we have done before, less strict then level 1 but still very effective. You can decide which level you want to follow on the day we start, but stick to what you have chosen. The nutrition plans we will be using are used a lot in the CrossFit community and have proven to work well with strength & conditioning program we follow. We will start the Change Challenge on Monday January 23rd and it will last till March 5th. We will be working in teams again. You can earn points every day and we will have one winner. However we need to work together as team as this challenge will only be a success if we all get to our goals. There will be a Facebook page set up again where you can share ideas and comments. There will be a spreadsheet you need to update every day which will be visible to everyone. To take part in this challenge you need to book in via this link. There is a cost involved of £45,- per person for members and £30 for returning challengers (ask for the discount code). 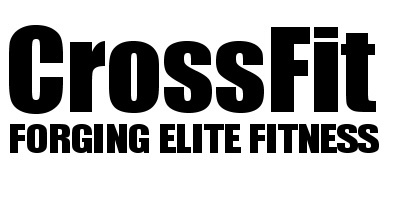 Non-members can take part as well at £125,- which includes 2 CrossFit sessions a week for 6 weeks. After you have signed up you will receive an email with all 'challenge rules' and the nutrition plan choices. 25 members who finished the 8 week ChalkBox's Change Challenge and lost collectively 125.6kilograms, 69.4cm off their waist line and 57.3cm of their hips. @ The group lost per week: 15kg, 8.6cm of waist line and 7.1cm of hips. @ On average people lost 4.7kg, more than 4cm of their waist line and more than 3.7cm of around thier hips.